वॉरईयर कैट्स. Some pictures i found that looked just like the बिल्ली in warriors so i put them together. 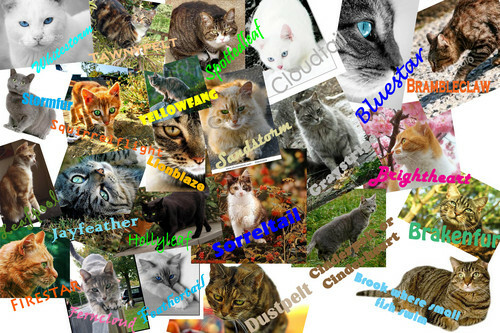 HD Wallpaper and background images in the Warriors (Novel Series) club tagged: cats firestar blustar warriors erin hunter. This Warriors (Novel Series) photo might contain मोबाइल फोनों के लिए, हास्य पुस्तक, मंगा, कार्टून, एनीमे, कॉमिक बुक, and manga.